Thinking of buying a home in Sun Lakes AZ? You will LOVE the amenities! Sun Lakes Arizona is an active adult community near Chandler and one of the TOP CHOICES for active adult living in Arizona! There are so many amenities here you never have to leave! Most people think of amenities and they think of golf, tennis and swimming right? Well, those are some of the amenities but there are literally hundreds of things to do in Sun Lakes. We’ve compiled a list of some you may enjoy! There are 99 holes of golf in Sun Lakes. Sun Lakes Country Club and Cottonwood Country Club each have an 18-Hole course. 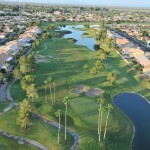 Palo Verde and Ironwood each have an 18-Hole course and Oakwood Country Club has three Nine-Hole Courses. You will find everything from an executive style easier to get around course to more challenging courses with plenty of water and bunkers to guard your shots. You will find golf leagues for men, women and couples and other smaller more intimate groups as well. Click here for more information on golfing in Sun Lakes AZ. 27 tennis courts plus pickle ball courts are some of the amenities you will find in Sun Lakes. IronOaks (Ironwood and Oakwood) Racquet Club is home to many Championship events and you will find leagues of all sorts to join or just come out and hit the ball with friends. Click here for more information on the IronOaks Racquet Center. Twelve swimming pools can be found in Sun Lakes including separate kid (or grandkid pools) and lap pools. Relax by the pool, float on a noodle or participate in water aerobics. 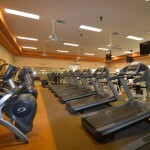 Sun Lakes Country Club has a fitness center with plenty of machines and classes for just about all levels of exercise. Cottonwood and Palo Verde share the same HOA and residents use the fitness center located in Cottonwood. Ironwood and Oakwood share the same HOA and residents utilize the fitness center known as IronOaks at Oakwood Country Club. You will find cardio and strength building machines plus weight machines, free weights, Yoga and Zumba classes and a separate lap pool and hot tub specific to fitness members. 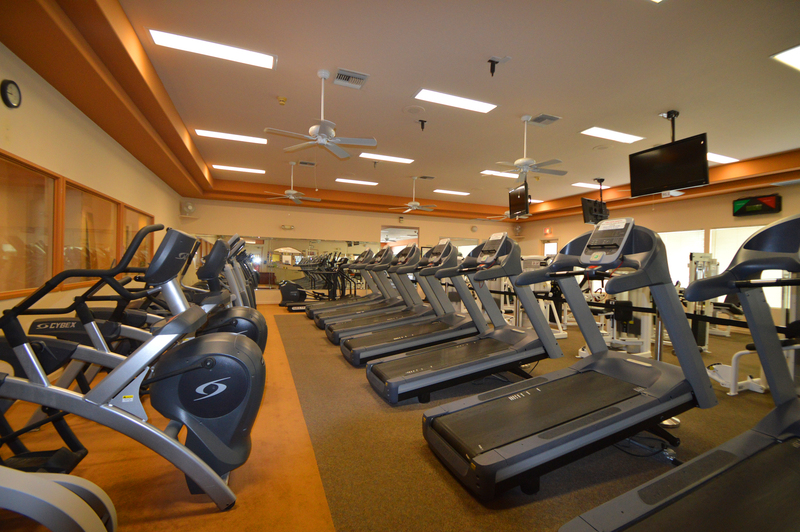 Click here for an IronOaks Fitness Schedule and more information about the Fitness Center. You’ll find many dining choices in Sun Lakes. As a homeowner on one of the Sun Lakes communities you can dine at any of the Sun Lakes restaurants simply by showing your homeowner card. Sun Lakes Country Club has Cactus Corner – a cafeteria style restaurant serving up some great breakfasts and lunch. The outdoor bar area has recently undergone a renovation and is a popular place to hang out with friends, sit by the fire when it is cool and enjoy a beverage of your choice. Cottonwood offers a casual setting for their lounge and serves breakfast, lunch and dinner seven days a week. Palo Verde Country Club has a formal dining room as well as a casual lounge and bar area. Sunday Brunch is a popular Palo Verde choice. Ironwood is home to the casual Green on the Grille serving casual foods with a popular Tuesday Night Rib Night. The bar is a popular hang out after golf or just for meeting up with friends. Oakwood has a bar with a great view – sit indoors or out on the patio overlooking the lake and amazing sunsets. Sunsets (appropriately named) is the fine dining restaurant also overlooking the lake with mountain views and fabulous sunsets. Poolside is…well Pool Side – over looking the large salt water swimming pool. Sit indoors or out on the patio and enjoy great breakfasts and lunch and the ever popular weekly fish fry! Click this link to see more dining information. So what do you think? Are you convinced that you could buy a home in Sun Lakes and never have to leave if you didn’t want to do so? Shopping is nearby at the Chandler Fashion Mall and San Tan Village and world class medical facilities are nearby at Chandler Regional Hospital and Gilbert Mercy Medical. 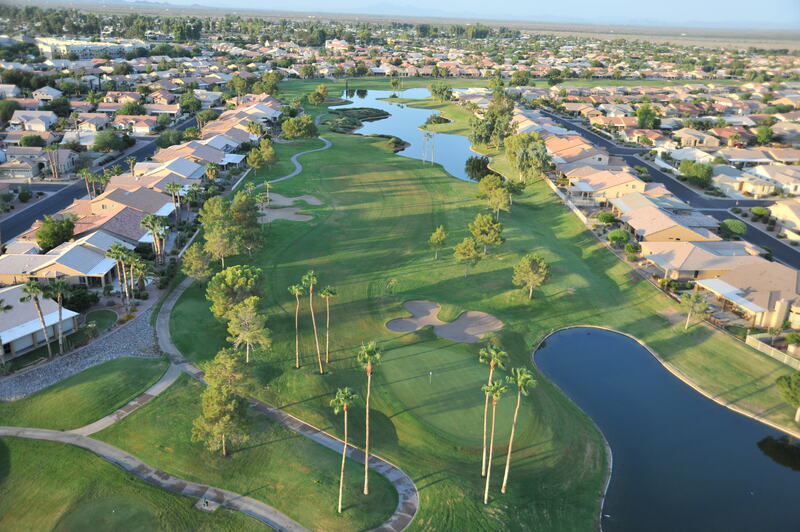 Close to both Sky Harbor and Mesa Gateway Airports and the close proximity to the I-10, the 101 and the 202 make Sun Lakes Arizona the BEST location in active adult living in Arizona! We think you may be interested in pursuing a vacation home or possibly consider relocating here permanently. What’s not to love about living each day in a resort setting with palm trees, great weather and to die for amenities! 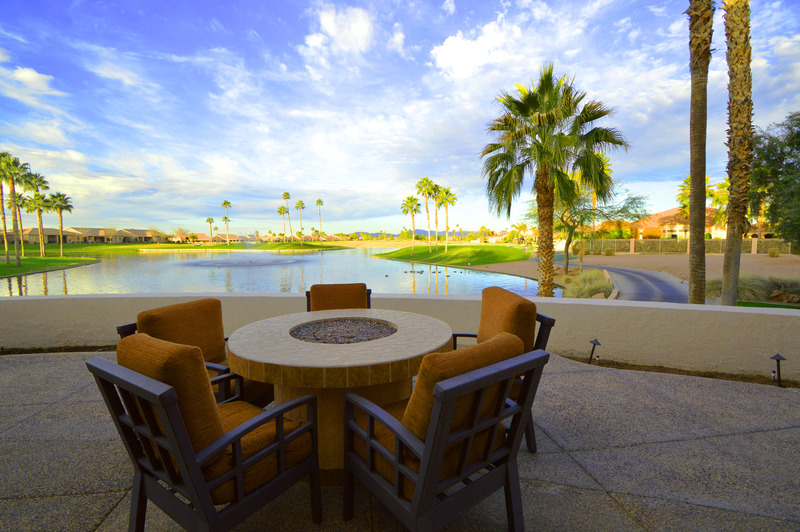 The KOLB Team is a top producing real estate team specializing in active adult living in Sun Lakes Arizona. What makes us the experts? We live here, we work here and we play here. Besides that, we volunteer our time in Sun Lakes. As volunteers with the Image Committee, Master Planning Committee, Unit Captains and Couples Golf we are in a position to know what is going on in the community. We can answer your questions about HOA fees and assessments, floor plans, market trends and virtually anything else you want to know. Search here for all homes for sale in Sun Lakes AZ or contact us and we will be happy to answer any specific questions you have.